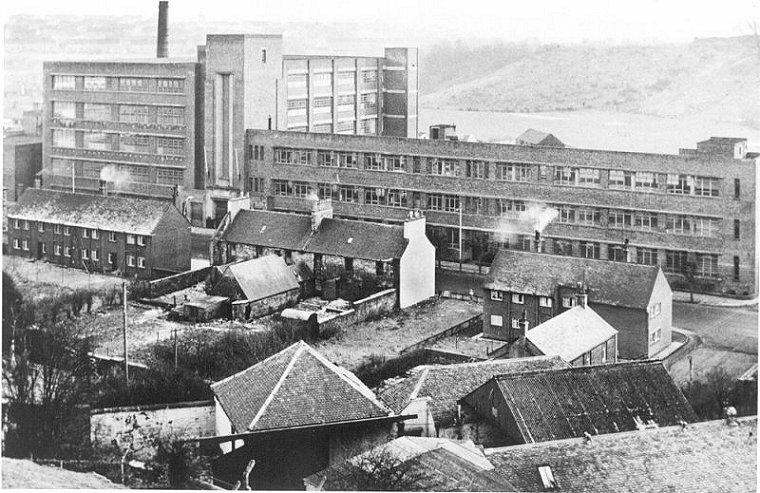 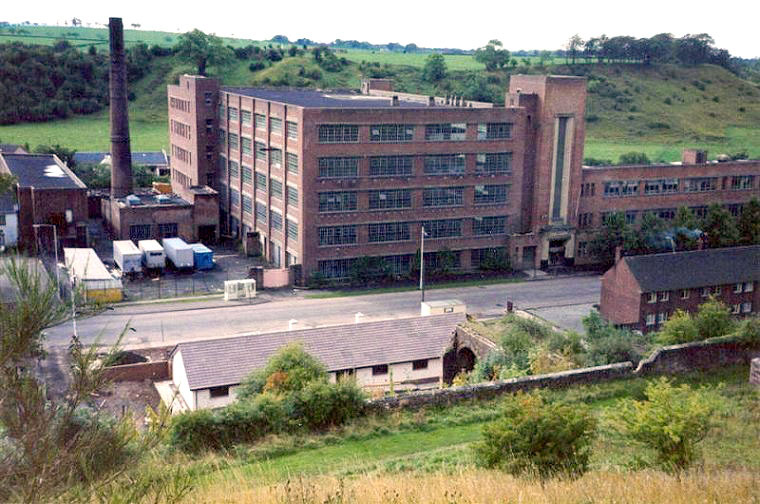 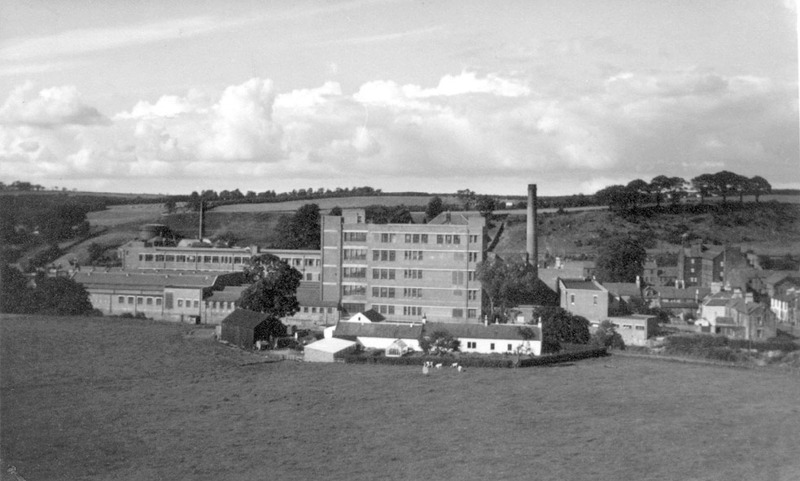 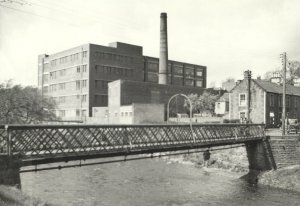 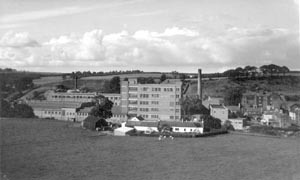 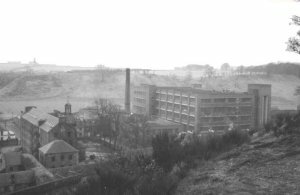 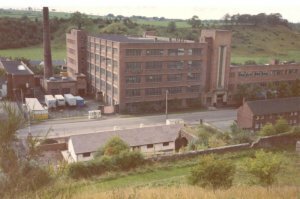 Right: Catrine New Mill, with the Old Mill in the background. 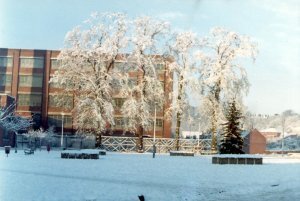 Left: New Mill in winter. 1980s. 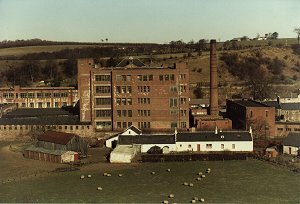 Right: Catrine new Mill and Holm Farm Road. 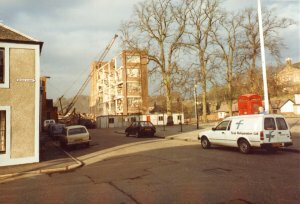 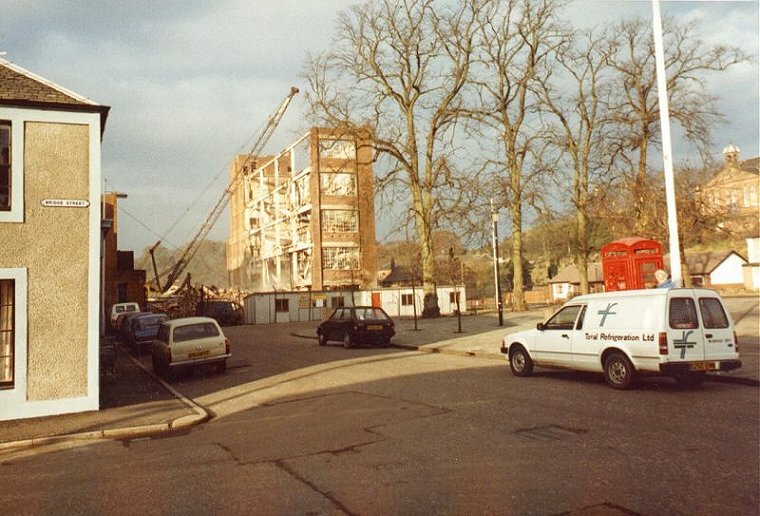 Pre 1964, as the auld mill can be seen in the current day Mill Square. 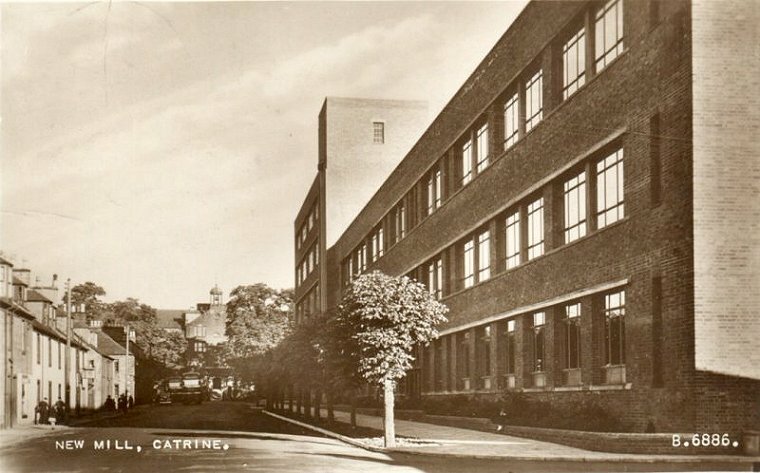 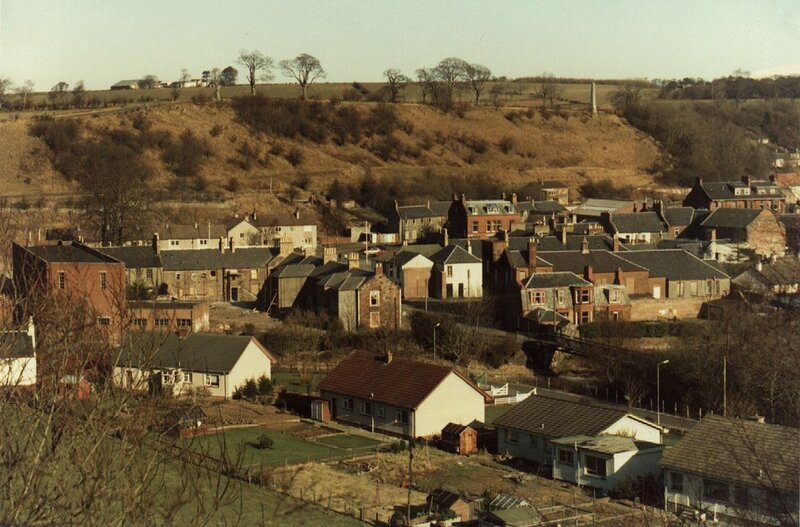 Lynette supplied these two images of Catrine in the 70s or 80s, via a work mate, whose name is missing. 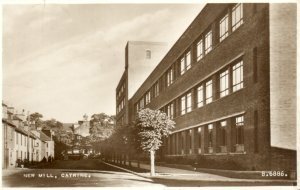 The contributor's name will be used when found. 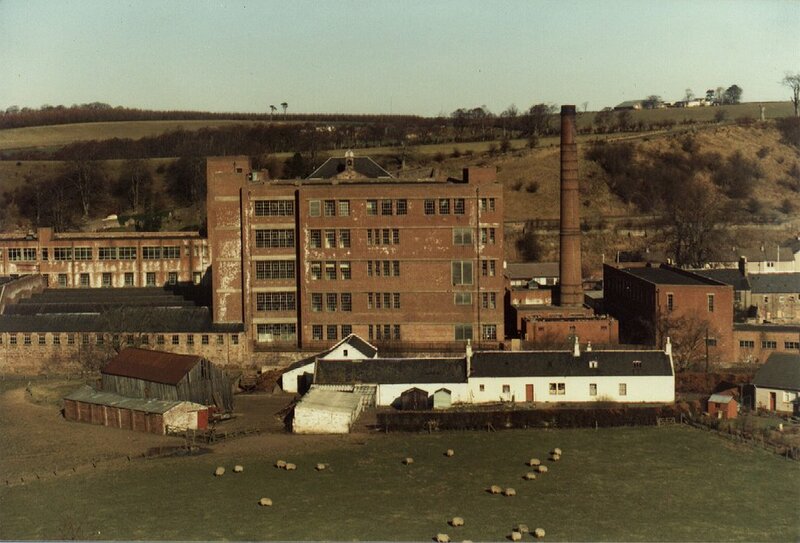 They show Catrine New Mill, and Holm Farm Road.